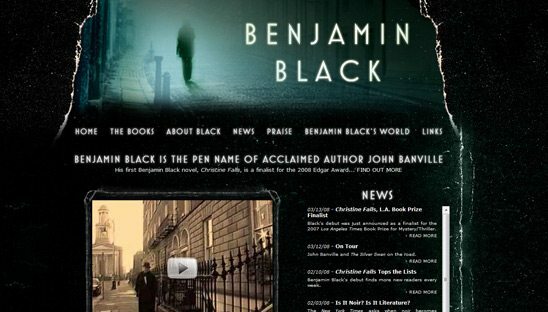 Benjamin Black is John Banville. John Banville was born in Wexford, Ireland, in 1945. He was educated at Christian Brothers Schools and St. Peter’s College, Wexford. He worked in journalism from 1969, as a sub-editor on The Irish Press and from 1986 at The Irish Times. He was Literary Editor at The Irish Times from 1988 to 1999. The client asked for the top flash to have the light flickering and fog going through the frame. It was a little hard because all we were given was 1 still image. But we pulled it off and looks pretty cool. This website has many pages including interview page, about bio, his books, news and many more.